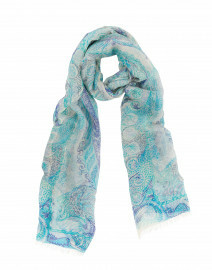 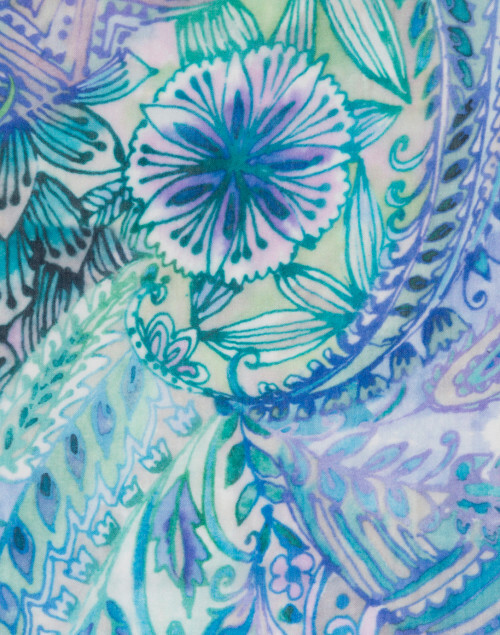 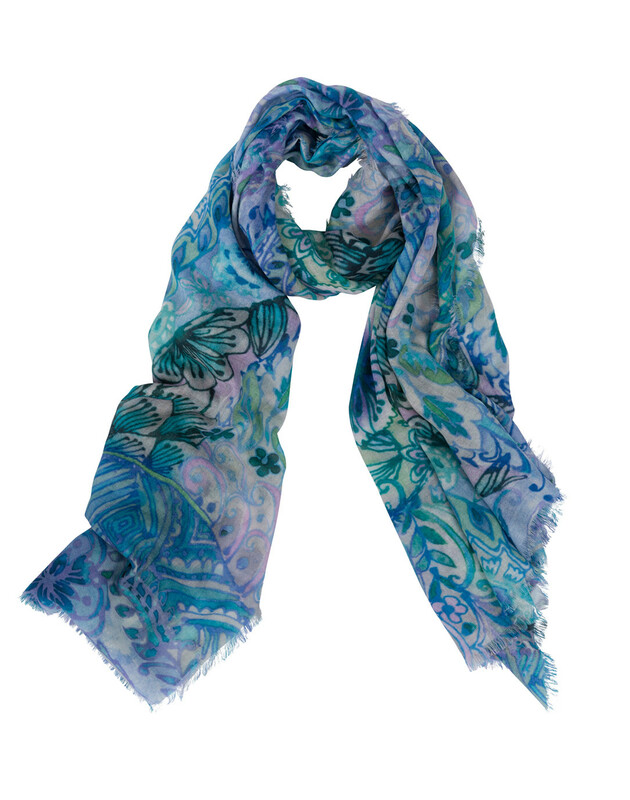 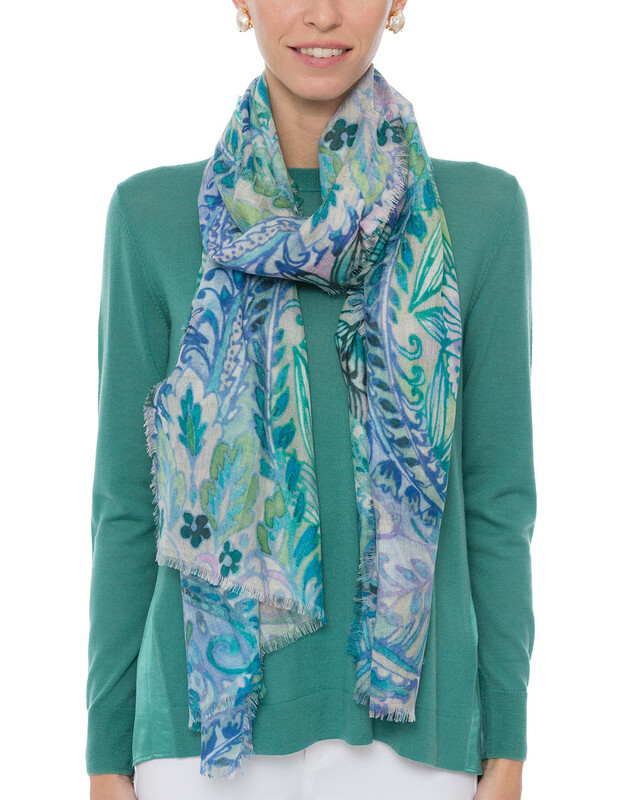 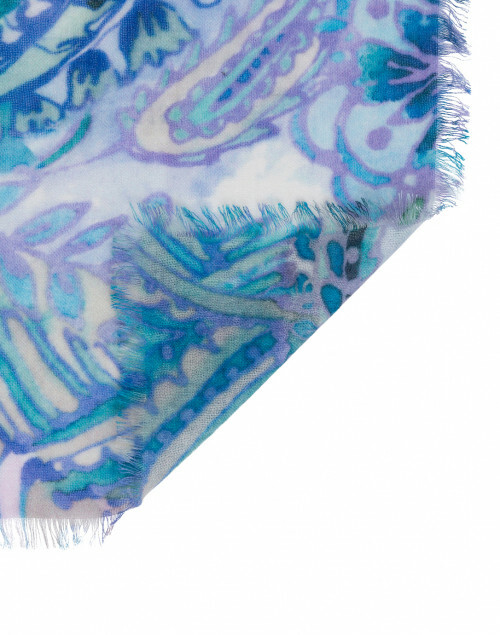 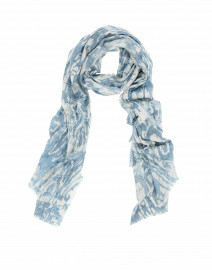 Luxuriate in colorful cashmere with this Kinross watercolor paisley printed scarf. 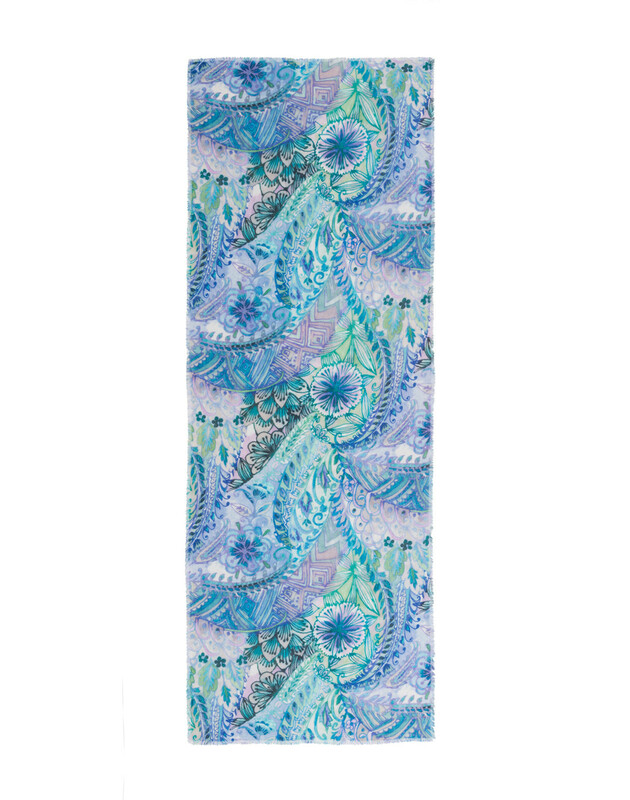 Featuring a variety of blue, green, and purple shades within the raw-hem finish, this paisley scarf adds brightness to every look. 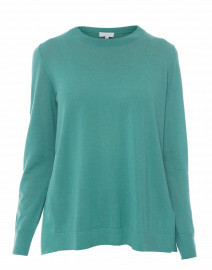 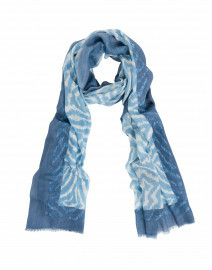 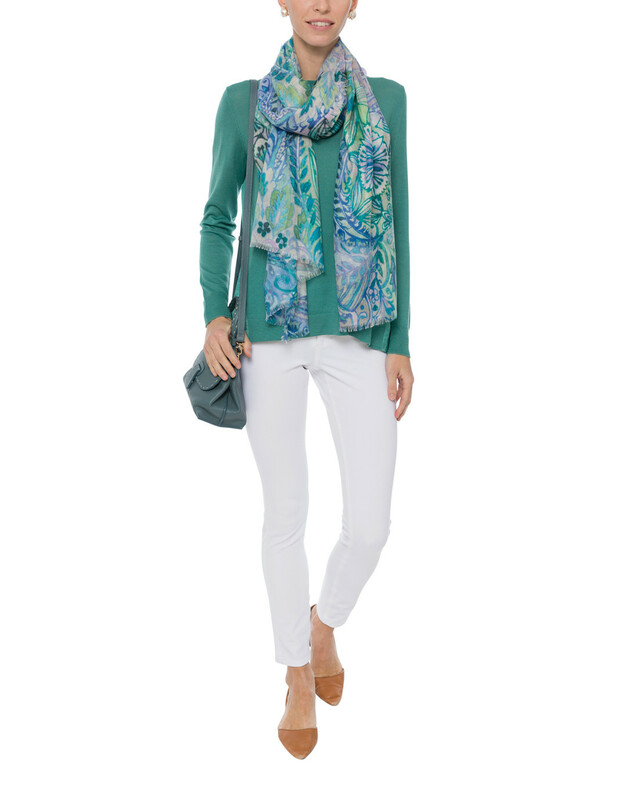 Add a vibrant element to an everyday ensemble by pairing this scarf with classic white pants and a crisp green sweater.